Man arrested for wearing cartoon costume of woman showing some skin. He was accused of not complying with country’s strict Islamic dress code. Women must wear black cloak, cover their hair and conceal face in public. Saudis ridicule arrest on Twitter, saying it made country a laughing stock. 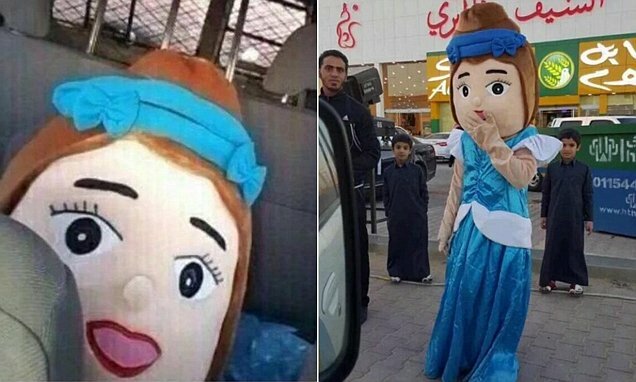 A man has been arrested in Saudi Arabia for wearing a cartoon costume of a woman showing skin. 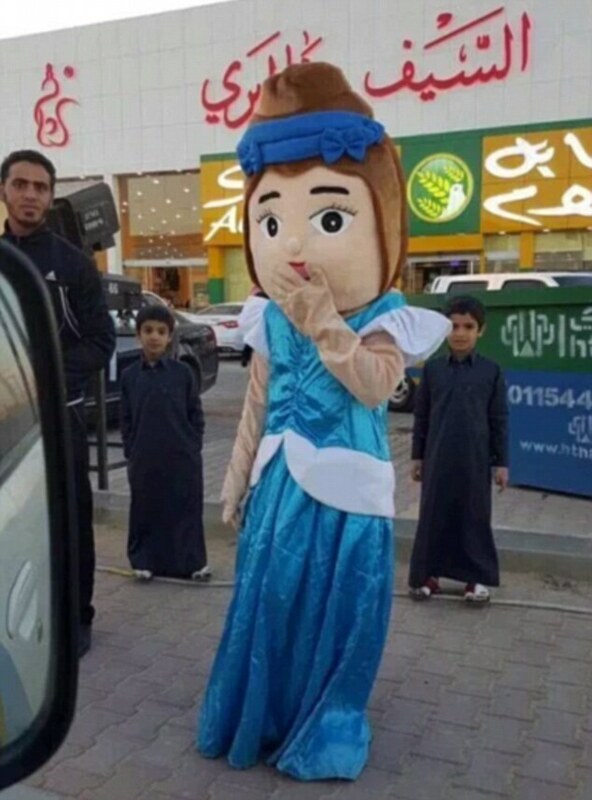 The country’s morality police swooped on the suspect who was dressed as a mascot for the opening of a sweet shop in Kharaj city near the capital Riyadh. He was accused of not complying with the strict Islamic dress code which requires women to cover themselves in public. 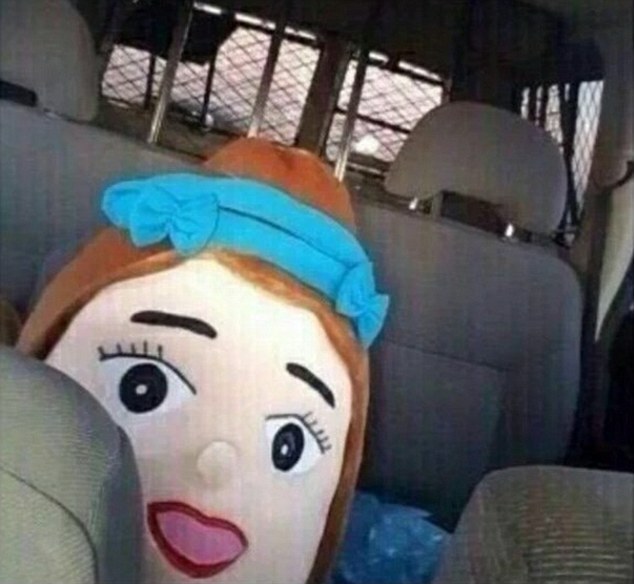 Pictures posted on social media show the giant mascot being apprehended by officers and the costume bundled in the back of the police car. Even Saudis themselves thought the incident was bizarre, with many using the Twitter hashtag #TheMoralityPoliceArrestingADummy to poke fun at the arrest, it was reported by Vocativ. Some went further, saying the morality police were making a mockery of Saudi Arabia in the eyes of the world. Women in Saudi Arabia have to wear a long black cloak, called an abaya, cover their hair and, in some regions, conceal their faces while in public. Women are also banned from driving by religious edict and cannot travel without authorisation from their male guardians. In September 2011, a Saudi women sentenced to 10 lashes for defying the driving ban was only spared when King Abdullah stepped in to stop the public flogging. If they do not, they face punishments including fines and public floggings. The Committee for the Promotion of Virtue and the Prevention of Vice, as it is officially known, is responsible for ensuring Islamic laws like those are not broken in public. But it has repeatedly been accused of human rights violations. In 2002, the committee refused to allow female students out of a burning school in the holy city of Mecca because they were not wearing correct head cover. The decision is thought to have contributed to the high death toll of 15.